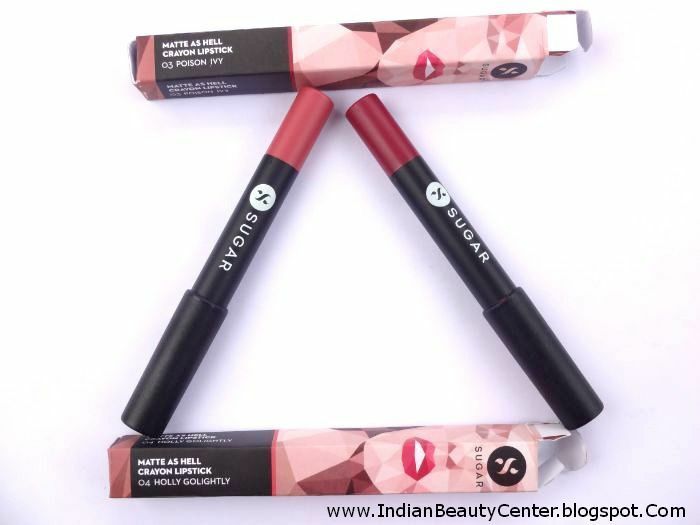 Product Description : If excellent coverage and high colour pay-off is what gets you going, you will absolutely love our new Matte As Hell Crayon Lipstick that is available in 4 gorgeous shades to suit your taste & your ever-changing mood! 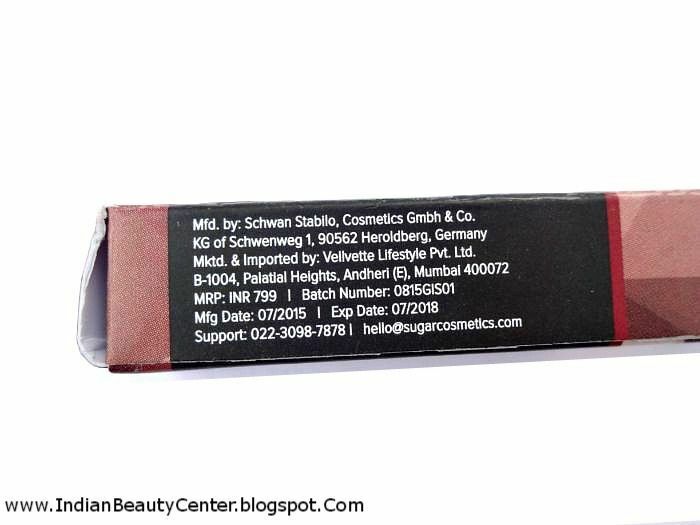 Super long-lasting and highly pigmented so you don’t have to worry about constant re-application, this must-have crayon lipstick has a soft texture with a silky matte finish. Directions for use : Exfoliate your lips & apply the Crayon Lipstick just the way you would with any other lipstick. Blot & reapply. 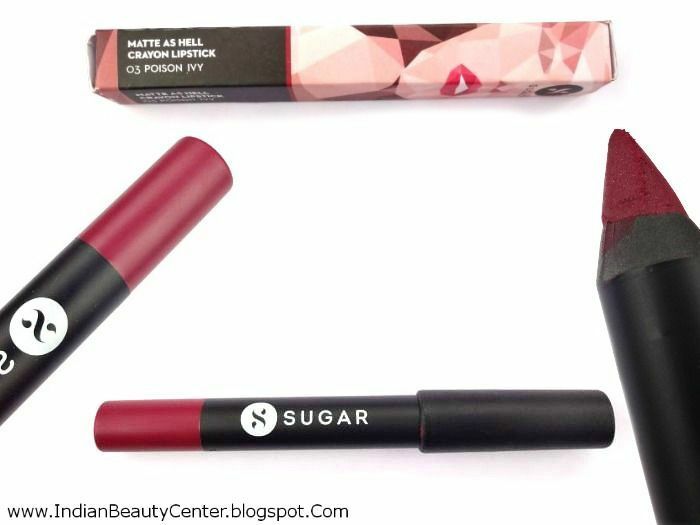 Sugar matte as hell crayon lipsticks come in a stylish outer box that has all product information printed on it. The crayons are in stick form. The base of the crayons are exactly the same color as the lipstick inside. So, it makes choosing colors easier for a lazy person like me. I just look at the base and compare to choose my color for the day! 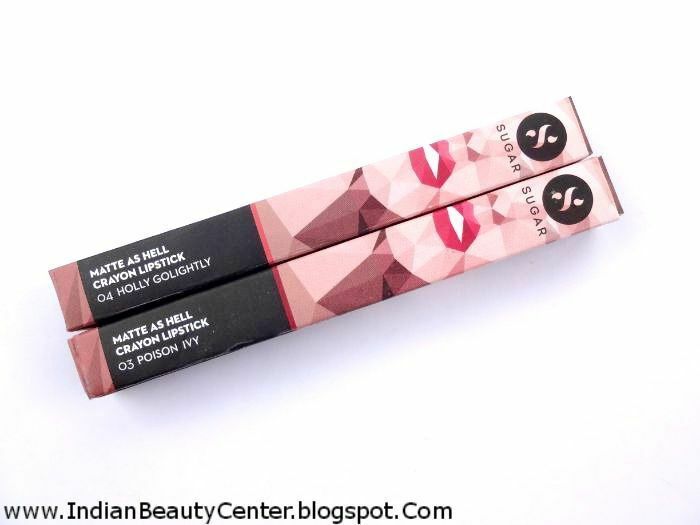 These lipsticks have no fragrance and are smooth as butter on the lips. I apply it once and then blot it as instructed and then reapply so as to make the color last longer and to mattify it a bit more. If you would like to mattify it like crazy, then dust some translucent powder on your lips and blend it in lightly by touching your lower lips with the upper one several times. Holly Golightly is a perfect n*de shade that it a peachy, rosy kind of color. This has to be my favourite shade as it does not look too bold and can be worn everyday. It does not feel uncomfortable on the lips at all and application is really smooth. It is my My Lips But Better (MLBB) shade of lipstick and I have already sharpened this 4 times. Poison Ivy is a deep wine shade with shimmery particles. 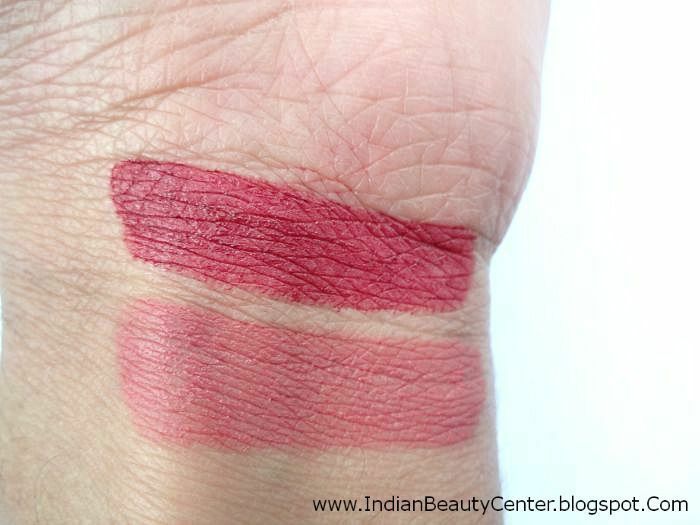 It looks gorgeous on the lips and the color can be toned down by blotting it slightly. It is a pretty berry shade that I totally love. It too does not make my lips feel uneasy. You need to have properly exfoliated lips, otherwise it will accentuate fine lines and might settle in them. But, if you exfoliate your lips properly using lip scrub or a soft toothbrush before application, these will flatter you in the most amazing way. They stay on my lips for 5 hours without meals and 3 hours after meals and they slowly fade away. 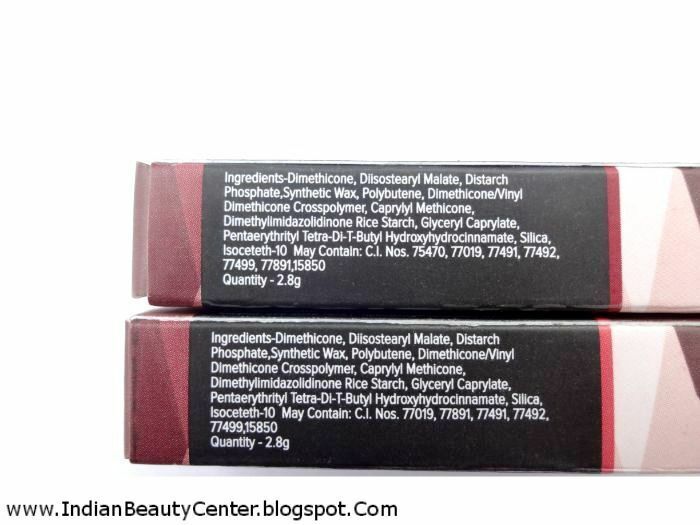 Transfer slightly, and are currently available only on Sugar Cosmetics website, online. Also, they are a bit on the expensive side but these shades are awesome! They need to be sharpened that leads to a lot of product wastage. To make your lipstick last longer, wear a lip liner that matches closely to your lipstick shade. 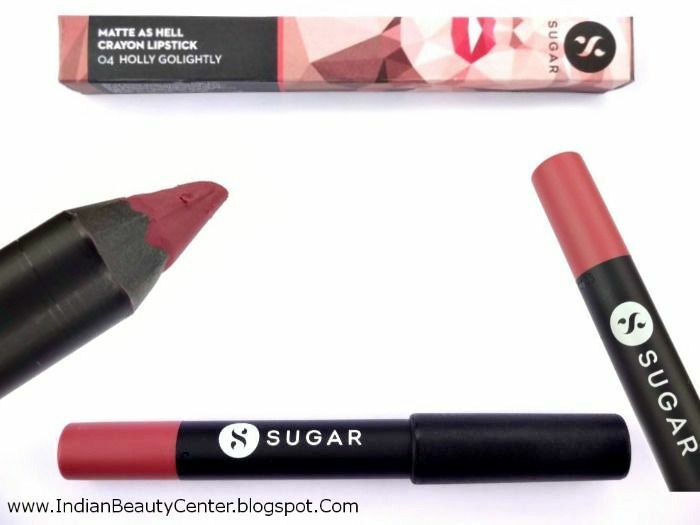 Final verdict- You're sure to fall in love with Sugar Matte As Hell Crayon Lipsticks. The current range of shades is superb. I totally have fallen for these, might be pricey but who cares! 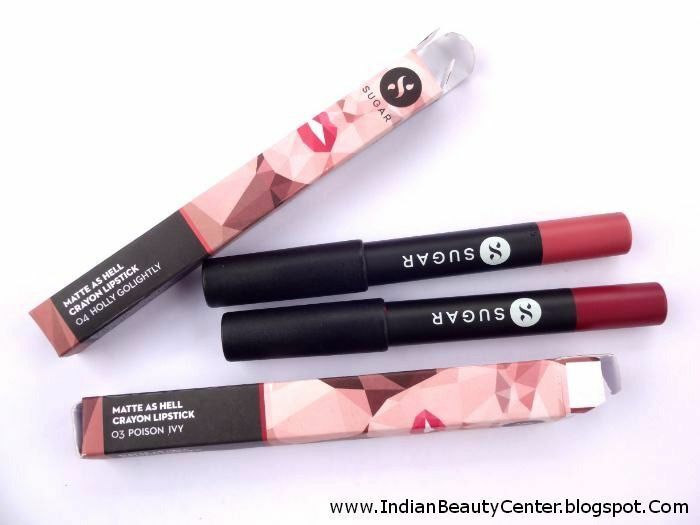 I adore matte finish lipsticks and these have such a buttery smooth texture and such high pigmentation that I have started wearing them daily. I would say, go and grab your favorite shade from Sugar Cosmetics and you won't regret. I just got the Poison Ivy colour and I'm already addicted to it. Thanks for a detailed review. Apart from sharpening problems I think they are great products.